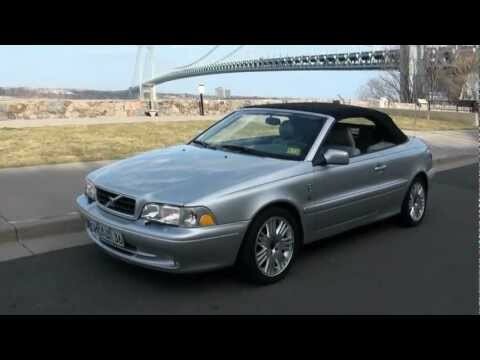 Volvo c70 -- comfort and style. I love my Volvo c70 but it is expensive to fix and maintain. It is definitely a driver's vehicle, not so much a passenger car. I would definitely buy another one. This is my second Volvo, I am hooked! Safety and comfort are bar none. The consumer reviews said the turning radius is not very good, and they were right. It does not make sharp turns very good at all. Sally move along, not the prettiest anymore but nice and kind to me. It's a little worse for wear at this point, and in the coming months I will be forced to make a decision. Invest in this car or purchase another. I have some knocks and thumps, I believe that I may possibly need struts, and I am not quite sure how much this will cost. I need to take my car into the shop in the coming week or so. The top leaks but that its a convertible which is the funnest part. Makes a popping sound sometimes that can be scary when driving on the highway. the check engine light is always on and it leaks sometimes when its raining. Pretty reliable though her name is Wanda and I love her because she is a convertible and drives well in tough weather conditions.